For the records, Pres. Trump is 6"3. But now it seems like his youngest son has already surpassed that height, or it appears that way. 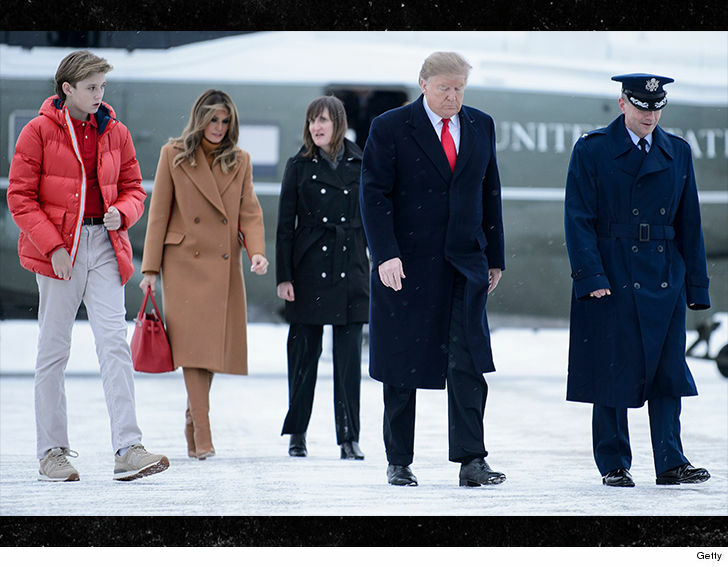 The picture above was snapped as Barron, his mom and dad trudged through the snowy tarmac Friday while they were boarding Air Force One. The family is headed to sunny Palm Beach, Florida for the weekend as the family flew Andrews Air Force Base in Maryland. It's interesting by comparison ... his half-brother, Donald Jr., is 6'1" and his other half-brother, Eric, is 6'5". Barron's half-sister, Ivanka, is 5'11". And their mama, Melania is 5'11"